Artzy Bitzy: You're simply the best! Simply the Best, a photo by eatzycath on Flickr. yes.... there's no time like the present to say this to a loved one, a friend or even a colleague - why wait until tomorrow? And this one is for my hubby, the only one I know who takes all my nonsense and somehow still loves me and is there for me when I need him! 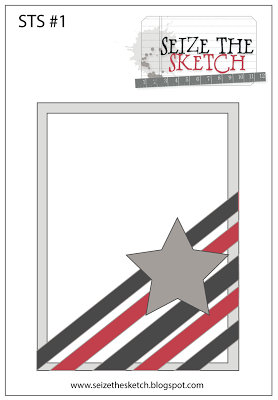 The design of this card was based on the sketch from a new challenge blog - Seize the Sketch #1 - a simple sketch easily adaptable for any card occasion. 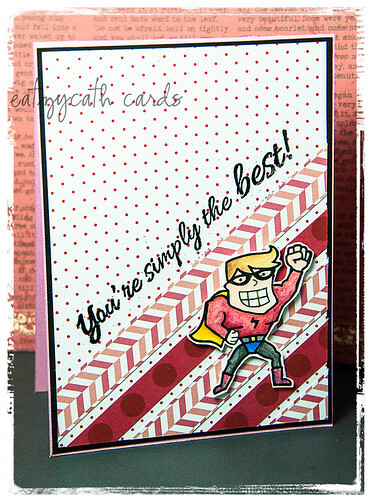 A great card for lots of different occasions - love your super hero image.